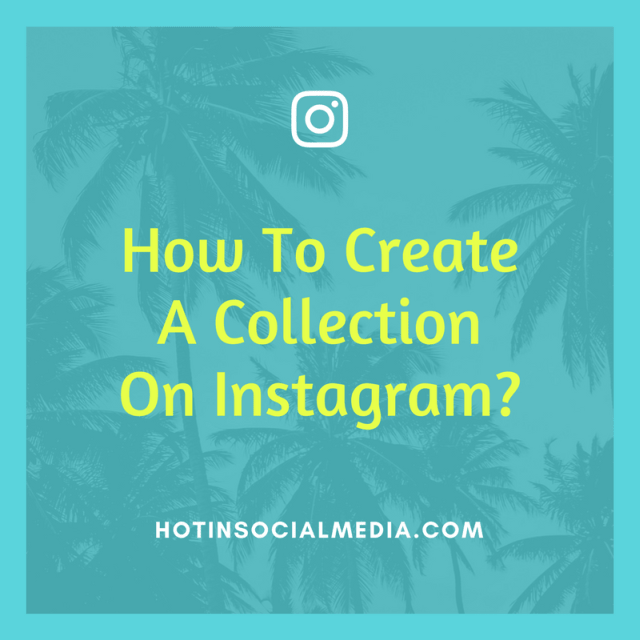 How To Create A Collection On Instagram? I love Instagram not because it is a very visual social media platform; it evolves so drastically that I find it really amusing, especially for a social media consultant like me. Today we’ll be talking about Instagram Collection which was first rolled out in April this year. This feature first started back in December 2016 before it was rolled out globally a few months later. It is a cool feature that allows you to bookmark interesting photos into different categories for easy viewing and organizing images. In short, you can easily use this feature to control and bring back old memories on Instagram. Don’t be shy, I know you are agreeing with me on that! P.S. DO you remember seeing this button which is usually on the top right of an Instagram post? I bet you do, right? Basically, you need to tap and hold the bookmark icon in the Instagram post to save directly into your chosen Collection. The fun thing is you can create a collection on Instagram out of your existing saved posts. Once you have saved the image or video, you will be prompt to either save it into a previous Collection or if you want to create a new Collection altogether. If you are just starting to use this, you would need to create a new Collection first before you can leverage this feature. Why would people want to use the Instagram Collection? Well, there are many reasons for it. For me, it helps me to keep back old memories of myself with my loved ones. With Instagram Collection, I can revisit the saved images or videos in the future which is super time-saving. Can you imagine the hassle needed to scroll back the thousands of photos you had on Instagram just to find several photos? Yes, it is really annoying to say the very least! How many Instagram Collections can I have? This is a tough question. Words around is that you can have up to four Collections at one time. Now, how about doing us a favor here at Hot In Social Media? Try it out today and leave a comment to tell us how many Collections you had created and are allowed to. I am interested to know what you think about Instagram Collections. Is it something you like about it or you totally dislike this feature? See also: How to quickly untag yourself from an Instagram comment?